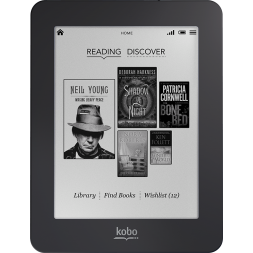 If you have purchased a book and can’t get it on the Kobo eReader, here are some troubleshooting steps to try. In your Kobo eReader set to “Manage Library”. Plug your eReader into your computer using the USB cable. If your eReader is charged, you should see two options: “Manage Library” and “Keep Reading”. You must select “Manage Library” or the Kobo Desktop software will not see the eReader and will not sync your books. When you select “Manage Library”, the device should appear in the bottom right hand corner of the Kobo Desktop software with “Sync” and “Eject” buttons. Click “Sync” the device to transfer your books to the eReader. Did you complete the purchase for the ebook? Is your new book in the “Books” area of your eReader rather than “I’m Reading”? Books only show up in “I’m Reading” once you have started reading them. Until then, they can be found in the “Books” tab. On the eReader, click the “Menu” button and select “Books”. How to Download Kobo eBooks And Strip the DRM ?